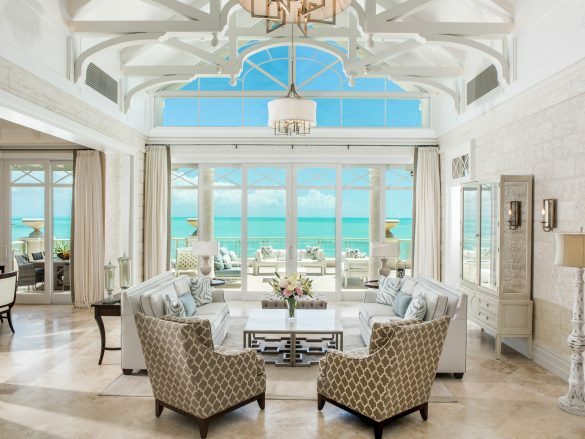 Opened in 2016 as the first hotel on Long Bay Beach, The Shore Club is a game changer. Whether you want to walk along the pristine three-mile beach, walk out into the ocean (it stays waist-deep for nearly two miles! 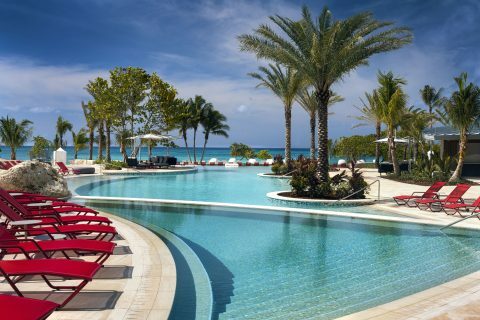 ), or lounge by one of the four pools, you can truly relax at this fabulous resort. Location. 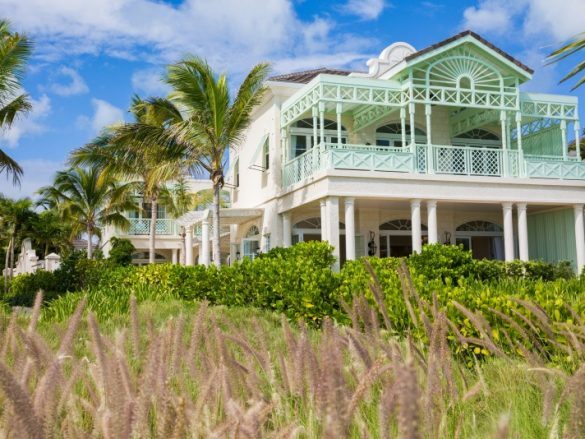 Many hotels on the island are located in Grace Bay, but The Shore Club has a unique spot on Long Bay. If you prefer quiet and seclusion but still have a resort feel, this is the place to stay. 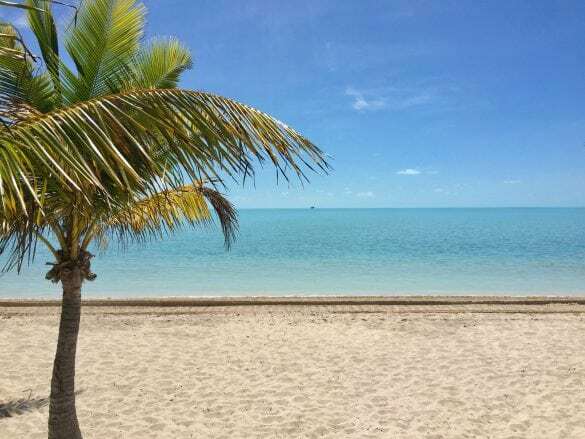 The beach is beautiful and the crystal-clear water is so shallow that you can walk to an abandoned ship located about two miles from shore (the resort will pick you up in jet ski if you want to do the 3-ish hour trek!). 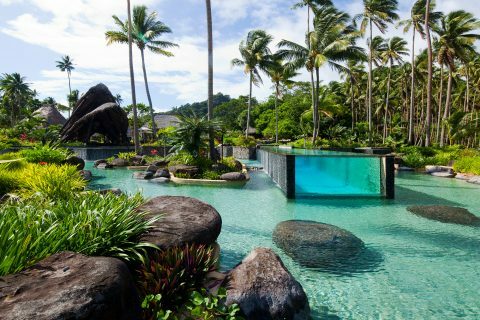 Spending ample time at the resort’s four pools. All offer food and beverage service, and the main pool has a swim-up bar (cheers! ), floating fire pits, and over-water hammock chairs. There are three onsite restaurants and bars. The main restaurant, Sui Ren, offers a delightful combination of Peruvian and Japanese cuisine. Sea Grapes is a more casual setting and has tasty Caribbean-inspired fare, and the Colonnade features a gourmet twist on local dishes. 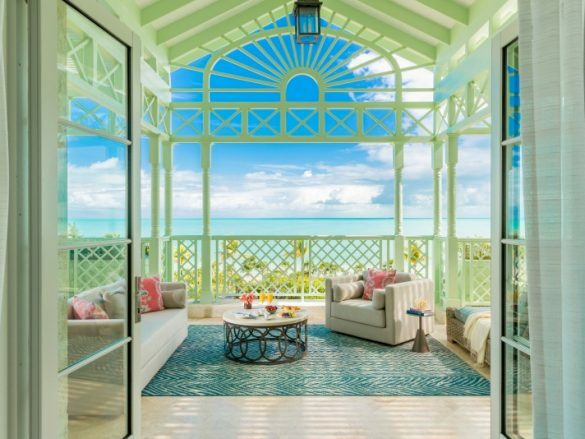 The Shore Club has stunning, new 6-bedroom villas available to rent (you can also rent them as a 4- or 5-bedroom villa!). 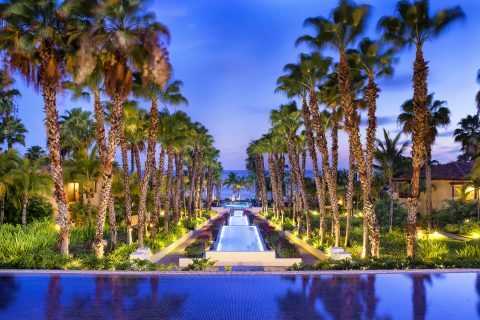 Each 8,800-square-foot villa comes with fast-track arrival and departure at the airport, VIP airport transfers, and is pre-stocked with alcohol, mixers, soda, and waters. 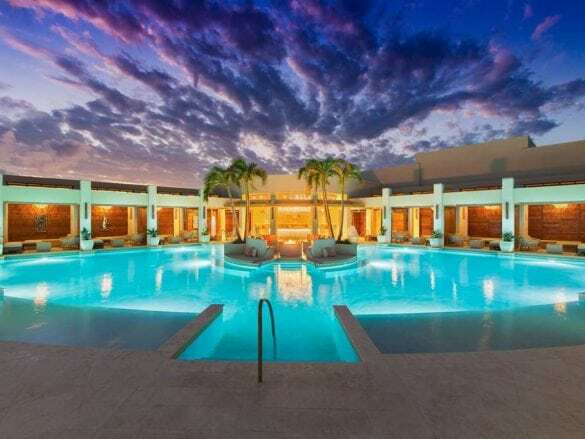 You'll have all the amenities you need - like a private pool, all en-suite bathrooms, a heated whirlpool, and more - and can enjoy the included daily breakfast in your villa or at The Courtyard restaurant at The Shore Club. And if you need anything else, your dedicated butler can make it happen. 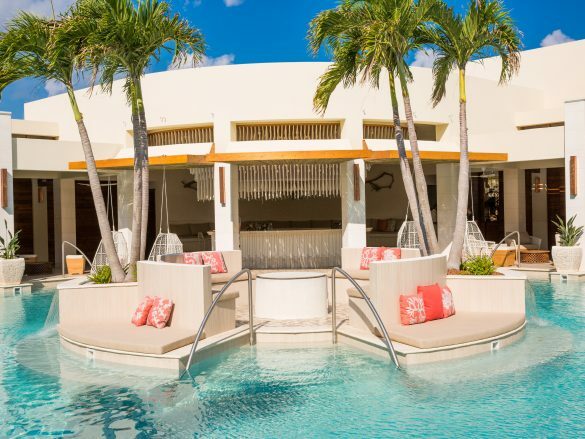 The Shore Club is situated on Long Bay Beach, named one of the best island beaches in the world by Conde Nast Traveler. It is only 2.5 miles from the bustling Grace Bay area, so you can easily pop over there to shop or for a meal – it’s the best of both worlds! 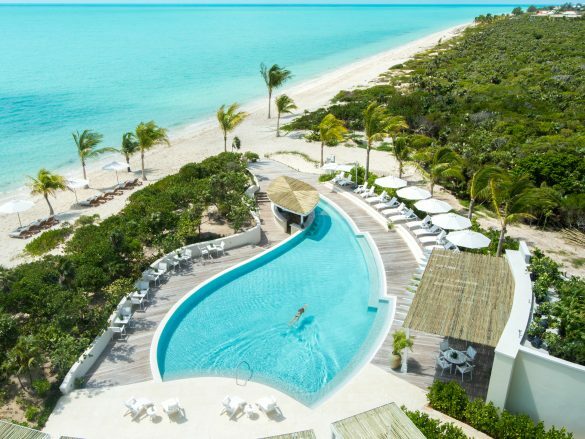 Fly into the Providenciales airport and then take a quick, 15-minute taxi ride to the property. The Shore Club offers a complimentary kids club. You can indulge in a treatment at the Dune Spa or relax by the ocean while your little ones play in the treehouse-theme club.